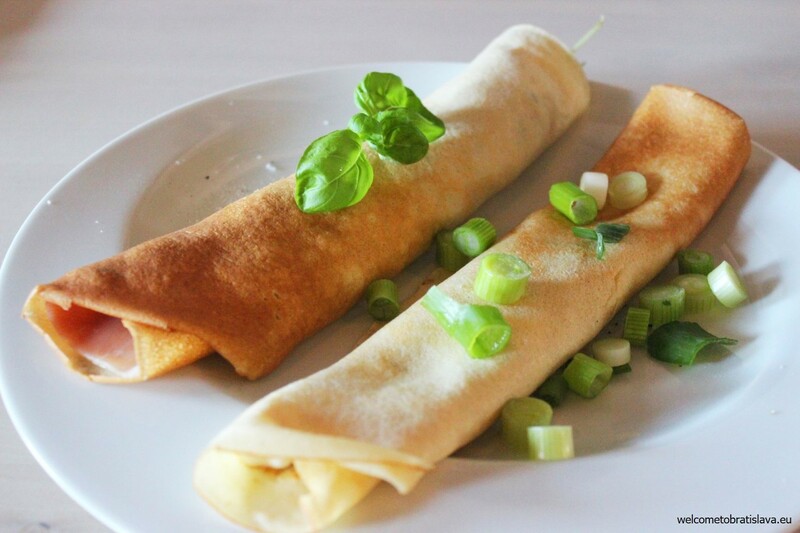 A warm, fluffy and tender pancake with rich filling is a dream of each gourment. If feeling like rewarding yourself with this delicious treat, be it salty or sweet one, we have a few tips for you. Huge pancakes, affordable ones or something more trendy. 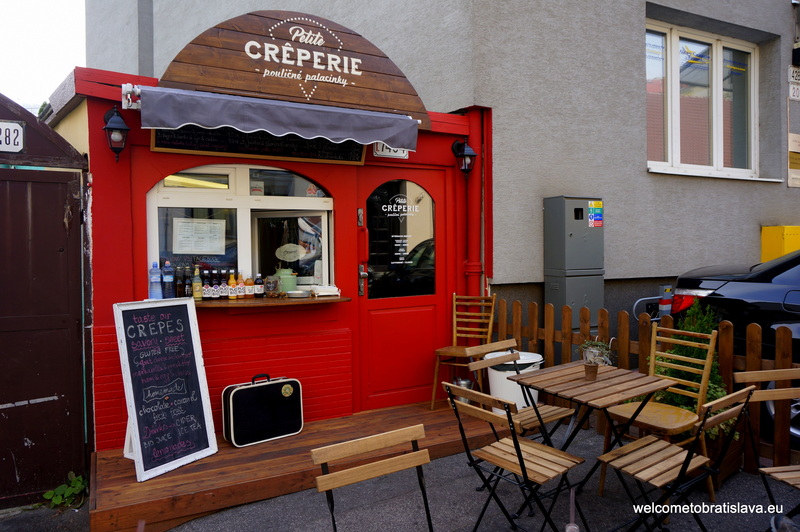 You will find a spot for yourself in our list of best places to have pancakes in Bratislava for sure! 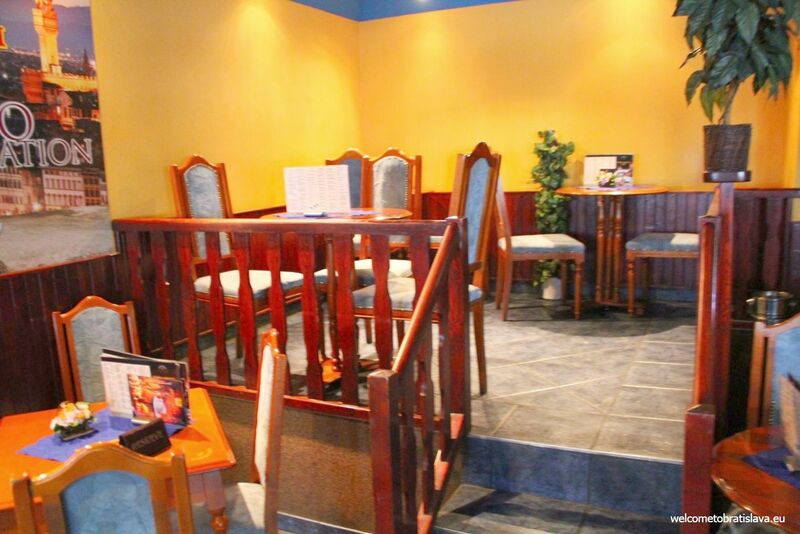 Yellow walls, blue ceiling and wooden furniture, that’s quite a combination! Sit down and you will be taken a few years back to an older bistro like from a movie. Special tip: Our favorite pancake is called Extra and stands for 350 grams of pure joy. Filled with whipped cream, mandarin curd, nougat, mixed fruit, vanilla pudding and walnut liqueur. Don’t forget cash at home, cards are not accepted. The package sells the product and this is valid twice in case of visual appearance in the culinary world. Pan Cakes has the most beautifully arranged pancakes that taste like heaven! You are definitely eating them also with your eyes. They are of a normal size which means that you can manage to eat more than just one and try out different fillings. You can choose salty or sweet ones. They are made out of a normal dough or a special rice-buckwheat gluten free dough without lactose. 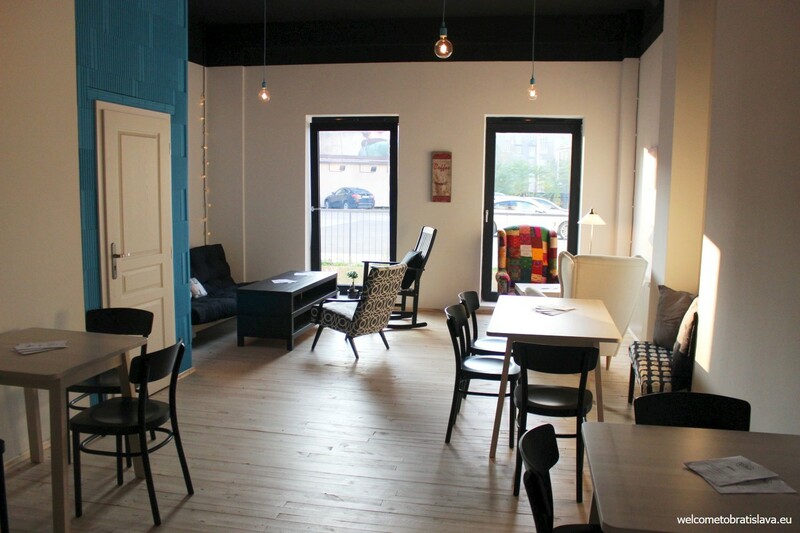 You will appreciate the nice hip atmosphere and the Scandinavian style of interior. 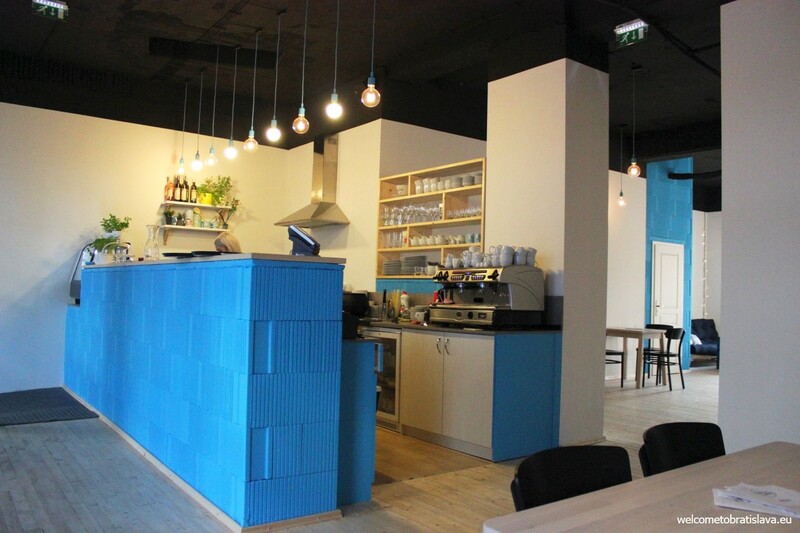 Simple & stylish premises, naked light bulbs and pure lines with a high blue counter, behind which all the magic happens. Special tip: Take your dog with you, Pan Cakes will not mind. Just to set things straight, do not expect a fancy place. When entering a subtle yellow old building, you will fall into a different world. This super tiny space with a long queue of pancake-craving customers reminds us of a school canteen in socialist Slovakia several years back. Staff in white coats or alternatively aprons look more like in a butcher’s shop than in a pancake place. But this is part of the special atmosphere, so don’t hesitate to visit if you want to have an old Bratislava experience! Special tip: We recommend to use a take-away option and relish the treat at home. Don’t forget cash at home, cards are not accepted. A French native owns this pancake place, so we assume this is how to expect to get your pancake in a French way. 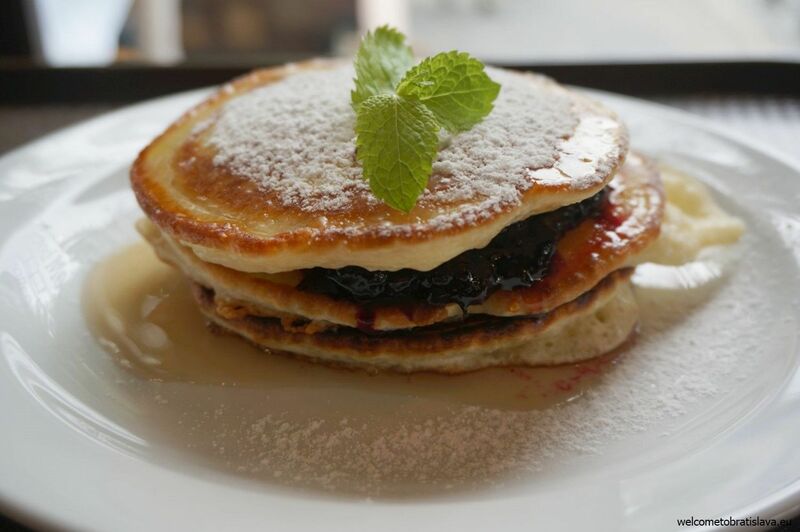 We love two small details that make this place absolutely special on top of the delicious pancakes served. 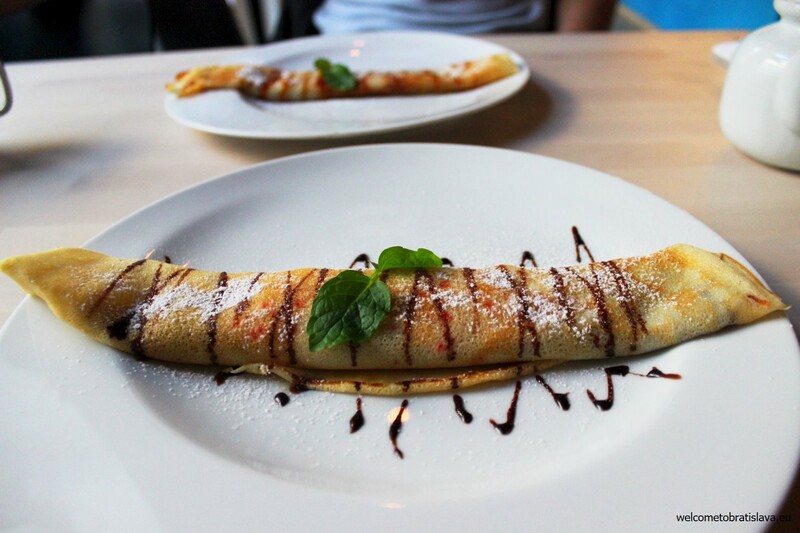 First of all, each pancake has a name after a Parisian metro station – Odeon, Opera or Bastille are not missing. The second detail is that each pancake is served in a different way – they are all folded or decorated uniquely, reminding a pancake origami :) Big like! 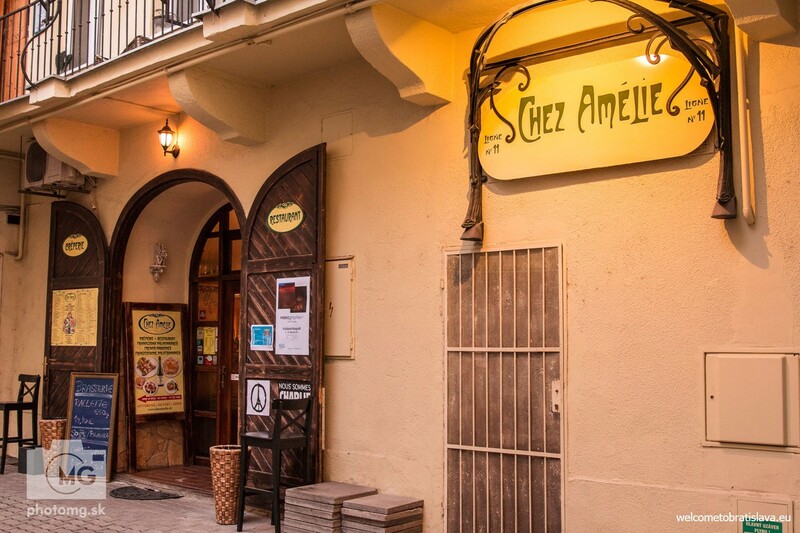 You will find Chez Amelie hidden in a small court of an older building on Laurinska Street. 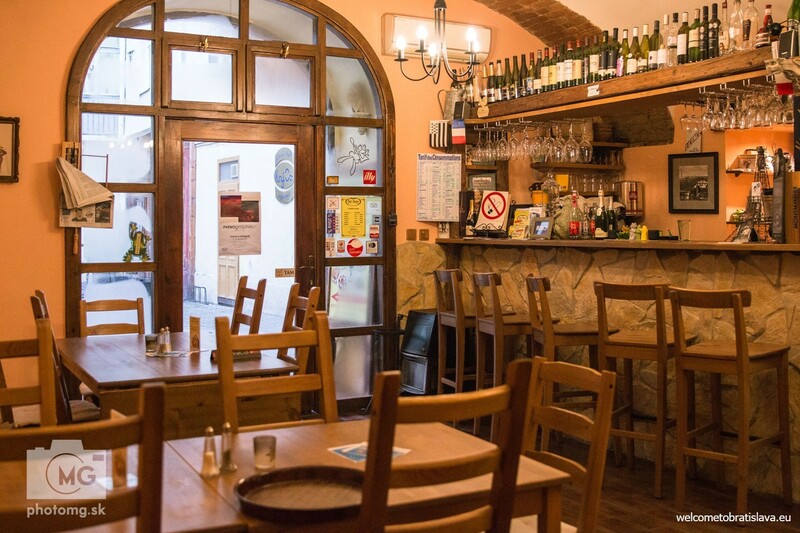 The interior is very friendly, with impressive stone ceiling and full of colourful paintings of Paris or copies of real Parisian street labels. Special tip: Try the sweet pancake with hot raspberries and vanilla ice cream. Pure deliciousness! 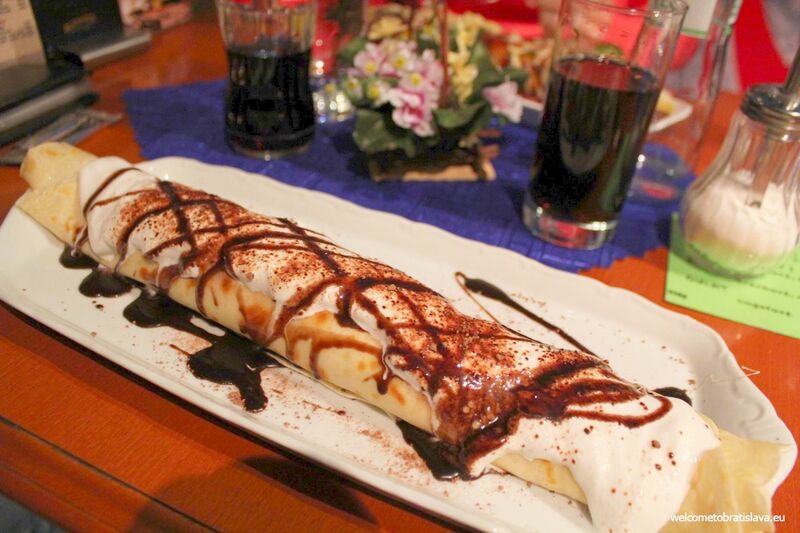 For those who do not consider thin pancakes to be real pancakes, we recommend to visit Moods Bakery. Their American pancakes with marmelade and maple syrup are the best in town! 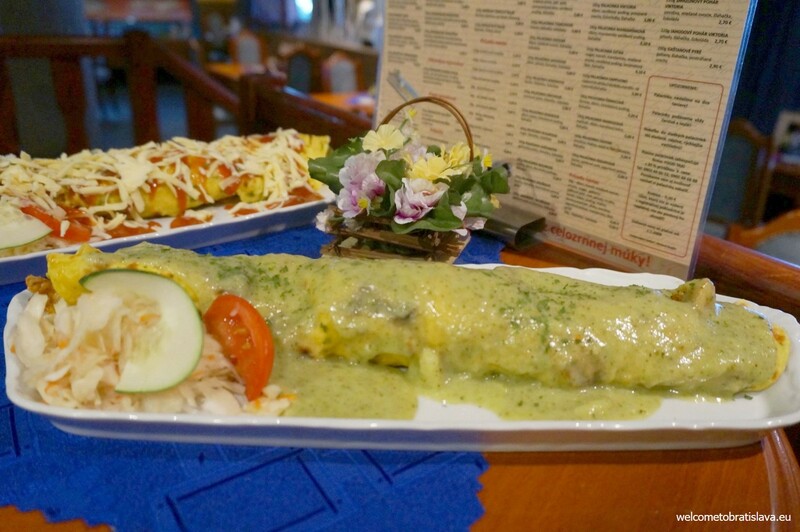 We mean it, it is a must-try thing! 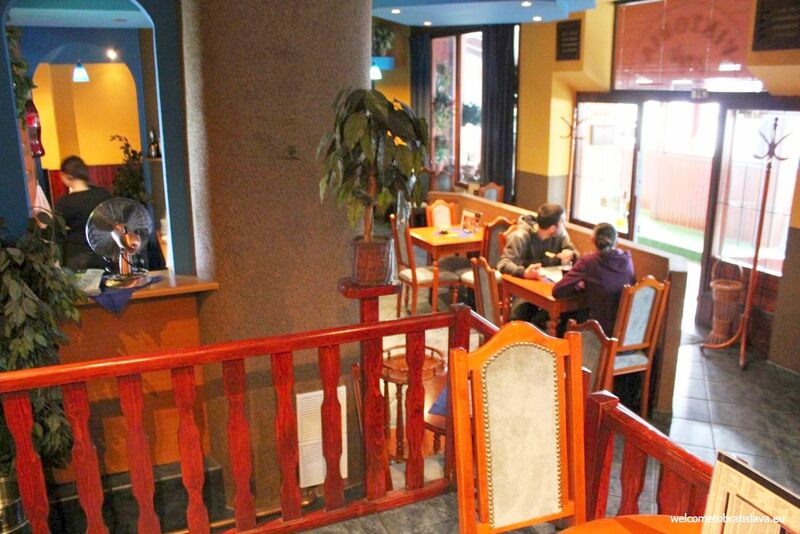 There are six Moods cafes in Bratislava. The one at the Hviezdoslav’s Square is the biggest and our favorite one. It is very tastefully furnished, with wooden tables and chairs, simple lamps and shelves of bottles hanging on the white walls. We like that the seating is set up along the big glass windows, through which you have a great view on the square and the UFO bridge. Special tip: It is one of the few that requires self-service. That means you order at the bar and pay straight away. 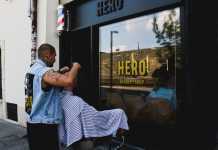 If you ride a bike, have a beard and like a hipster crowd, this is an absolutely great place for you :) Or if you just simply love the pancakes! 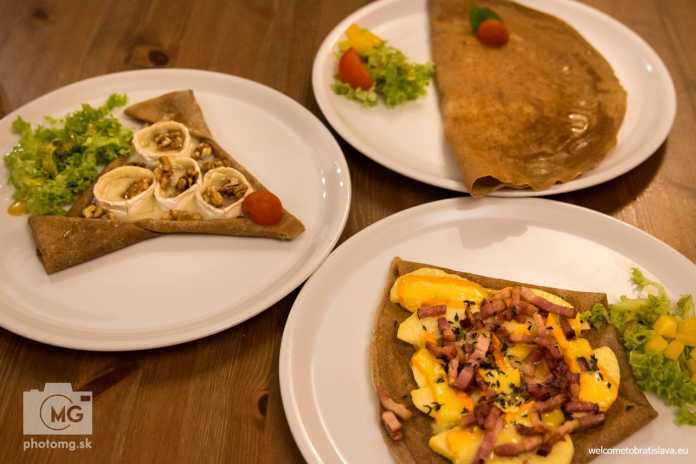 We do love them here, especially the ones with more exotic flavors, such as poppy seed pancake with honey, cinnamon and lemon zest, apple pancake with honey, cinnamon and nuts or salty pancake with baked Niva cheese. You can also ask for gluten-free buckwheat versions. 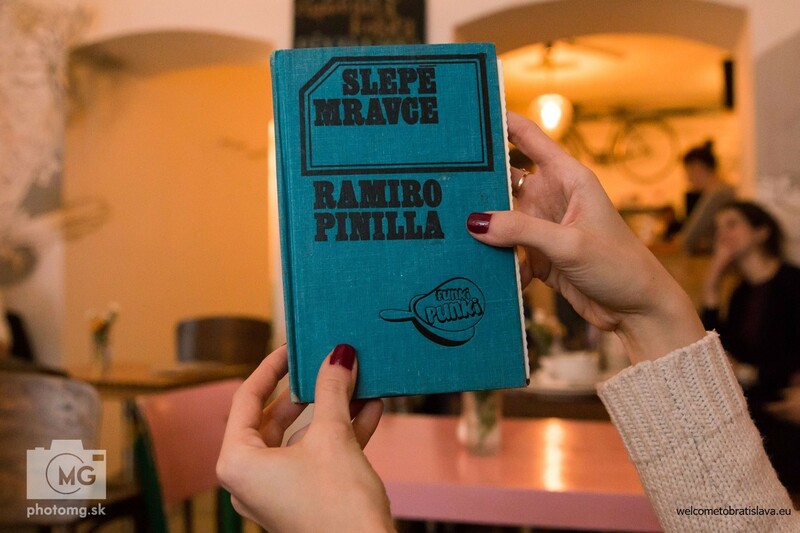 Special tip: On working days, until 14:00, they offer a special lunch menu – a soup plus 2 pancakes (you will get the soup for 0,50 € instead of 1,50 €) or coffee plus one sweet pancake for 2,50 €. We discovered this food stand quite recently and the originality and deliciousness of its pancakes blew us away. 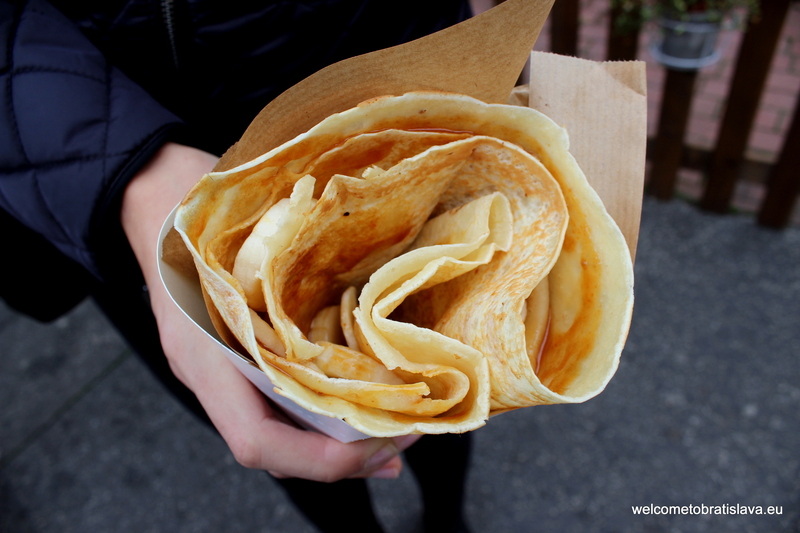 What you can expect are yummy pancakes wrapped „to go.“ Folded in a triangular shape and placed into a paper cone which makes it very convenient to eat them while standing on the street or walking. You can choose a sweet or a salty version, gluten-free or with a buckwheat flour. 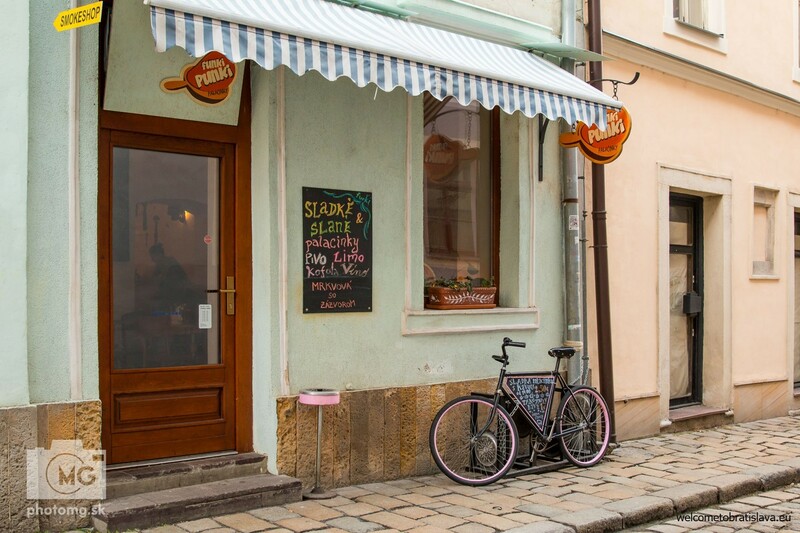 A young Slovak girl established this small business. She got the inspiration during her studies in Paris. 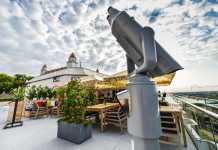 You cannot miss a bright red booth on Vysoka Street with a small and lovely terrace open during summer. 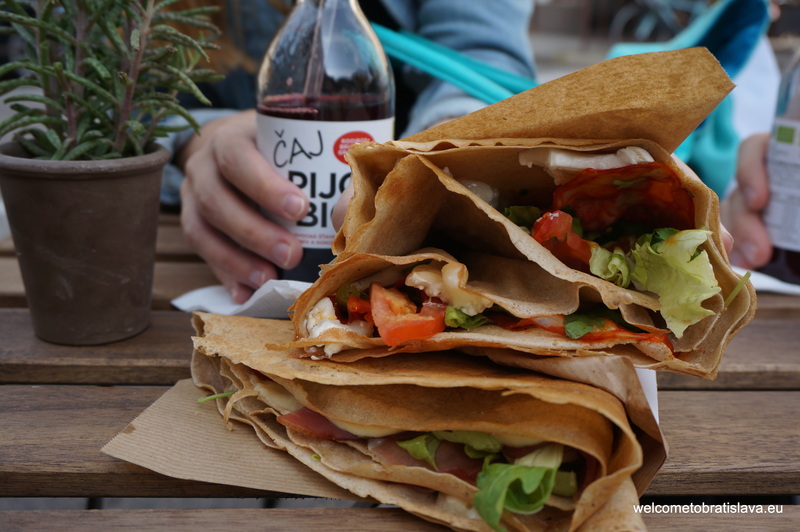 Special tip: Try their special version of French „crêpe complète“ upgraded by the home-made beetroot chutney! 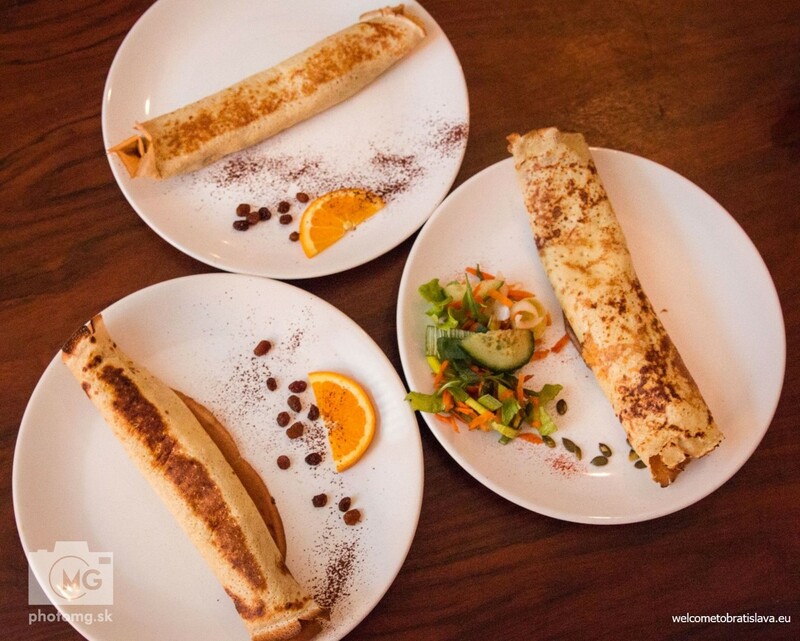 Whether you prefer to eat a pancake as a main dish or relish it as a sweet dessert, we are sure you cannot go wrong with any of these choices! One thing we found out visiting this place today was that the translated menu had different prices than those billed. Was hard to discuss this with the waitress as she did not speak English.